Cloud Systems' Pogoplug is the little Linux-based box that can turn any hard drive into a NAS/Server, streaming photos and music not only over LAN, but the internet as well. With the latest iteration, Pogoplug can now stream HD video. Cloud Systems beefed up the internals of the Pogoplug Video so that it could handle streaming 1080p video over IP, without having to transcode or caching the video on another server. It can stream to your web browser or any UPnP device (TVs, media streamers, etc...), as well as apps for iOS and Android. It can even stream directly from cameras that are connected to Pogoplug, including those using the AVCHD format. Preorders for Pogoplug Video will begin March 1 and it will go on sale beginning April 1 for $200. · Share high-quality videos of supported formats immediately. Users no longer need to wait for complicated conversions and lengthy uploads to view and share personal content on mobile or networked devices. · Watch videos and pictures in full HD. Pogoplug Video automatically streams at the highest quality possible. · View multimedia on all devices. 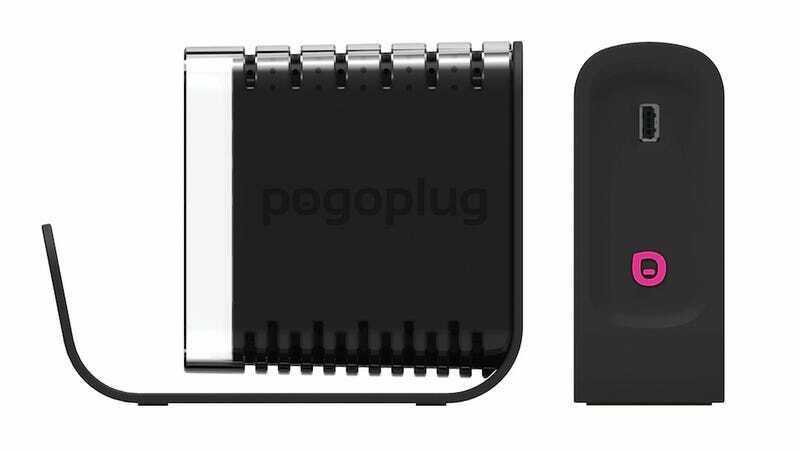 Pogoplug Video uses multiple streaming protocols to support the most popular mobile and Internet enabled devices. For local viewing, Pogoplug Video supports UPnP so users are able to play content on any UPnP set top box or video game console. · Stream media from many of the most popular camcorders, video cameras and mobile phones.